One girl’s unwavering determination, not once but twice. In May 2013, Ula, 11, was complaining of a sore hip, leg and groin when she was told she had just strained a tendon, a common injury for children her age. As the days went on, the pain continued to get worse and Ula knew something was wrong so her parents took her back to the doctor for further testing. This time, Ula had an x-ray. The x-ray showed a very clear dark shadow in her upper left femur. Further testing started immediately, ranging from bloods to CTs, MRIs, PET scan and finally, a grueling open bone biopsy. 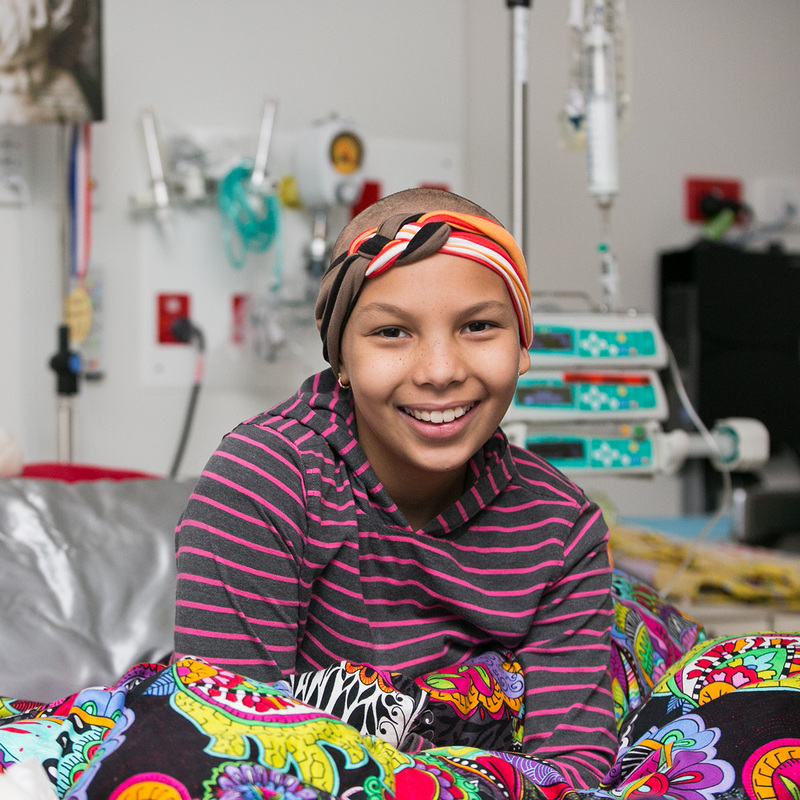 After days of extensive testing, Ula was diagnosed with Ewing’s Sarcoma, a rare form of bone cancer, in her top left femur at just 11 years of age. Scared and confused, Ula and her family remained strong and determined to fight. Her treatment started immediately, she underwent two rounds of very aggressive chemo and surgery to remove most of her femur from the ball joint down to about 10cms above her knee. She had an electromagnetic titanium prosthesis put in to replace her bone so she could continue to walk and use her leg. Young Ula had less than two weeks to recover from her major surgery before starting the first of another seven rounds of aggressive chemotherapy. The treatment was horrific, and very intense but Ula’s body responded well. And after a traumatic 12-months, in April 2014, her treatment was finally over and it was Ula’s turn to ring the end of chemo bell – something all our brave children fighting cancer wish for every day. Ula could barely remember what life was like before her treatment. Things had changed so dramatically in the last 12 months, it wasn’t possible for her to feel ‘normal’ but following her treatment, and with the support of her family she found a new normal. Ula had a gradual return to school and started enjoying the simple things in life. Things were finally looking up. But towards the end of the Christmas holidays, Ula’s mum started to notice Ula bruising easily, she was feeling tired and was a little off her food. It was during Ula’s routine check-up in January 2015 that her blood test revealed her platelet levels were extremely low. A bone marrow aspirate was performed two days later. It showed Ula had TAML – a treatment induced Leukaemia. The grueling treatment she had undergone to fight her cancer and save her life had done the unimaginable – it had given her a new form of cancer. This is something that very rarely happens but in Ula’s case, it did. The news devastated Ula and her family, they felt overwhelmed and helpless. If you are a parent, you can imagine the devastation of hearing such news so soon after celebrating the successful end of Ula’s treatment. Another round of treatment started the next day, including chemo and the plan for a bone marrow transplant. But more heartbreak was to follow. There was no single match worldwide for Ula’s transplant, so the only choice was to give her what is called a Haplo identical transplant – where they harvested her mum’s stem cells and processed the cells for 20 hours before transplanting them into her. Haplo identical transplants are so rare, Ula was only the 9th child in Australia to receive this type of transplant. The ground breaking treatment defied statistics and gave Ula and her family hope in an otherwise dire situation. Much to her family’s relief, the procedure was successful. Over 18 months has passed since brave Ula underwent her transplant. Ula has finished all her treatment and remains cancer-free. Help kids like Ula continue to receive world-class treatments so they can live a happy and healthy life. Give to the Children's Hospital Foundation today.